IDEAL FOR GROUPS LOOKING TO FACILITATE TEAM-BUILDING IN AN ARTISTIC WAY! Dr. Jeanine Blackburn, author of The Training Playbook, guides your team in an experience that will empower and enlighten your group through art. Your 3 hour event can be tailor-made for your group's needs, or you can choose from one of the formats below. If you are looking for more of a social get-together, please refer to our "Private Events" package. MUG MADNESS- Get your office to GO GREEN with this option! 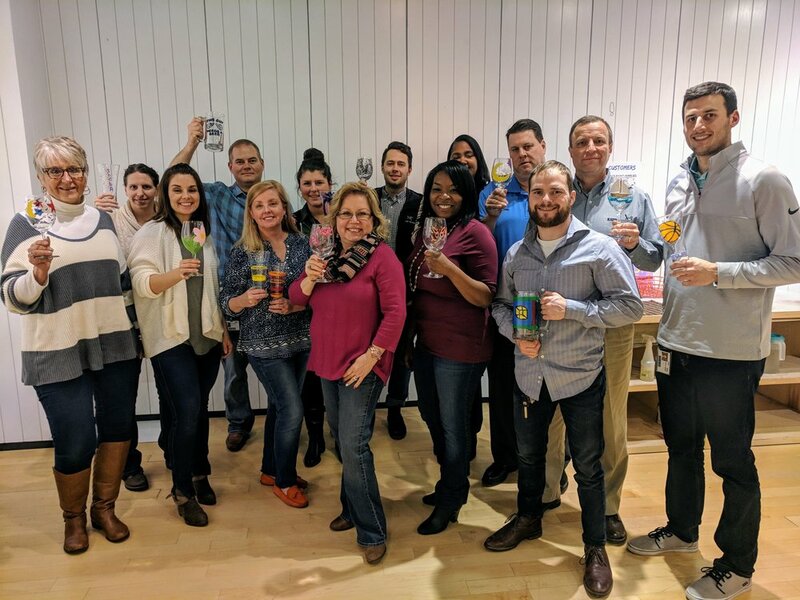 Your team will design mugs for your break room that will be a reminder of your team work and creativity while cutting down on waste and your company's carbon footprint. Our mugs range from $21-$25 each; all materials and firing are included in the price. A: The team paints the same image, instructed by one of our canvas artists. B: The team paints, switching seats every 15-20min. The goal is for the entire team to have a hand in creating each other's masterpieces. C: The group paints a similar image, in their own artistic expression, finishing off with the same quote that defines the goals of the team. $30 per person (discounted from the regular price of canvas classes).